First up, my Kinokuniya haul! 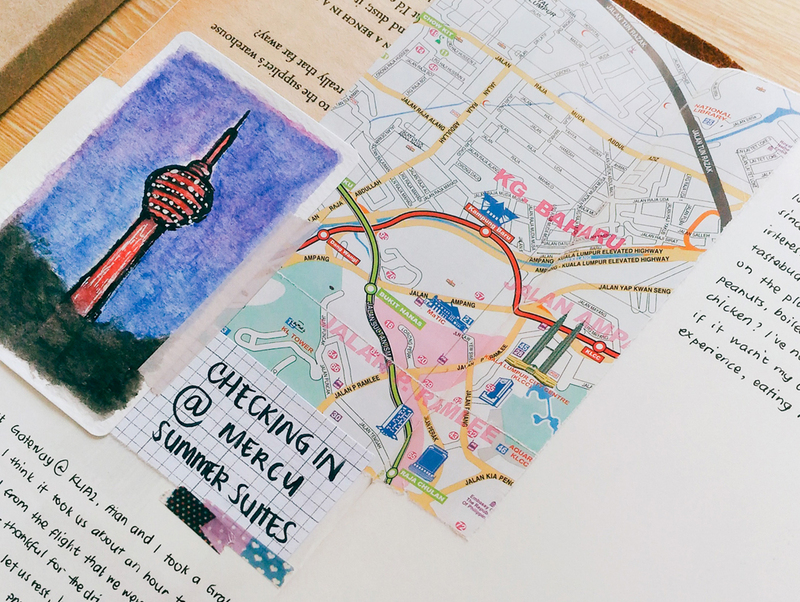 Suria KLCC is always our first stop whenever in KL, because it's closest to our usual Airbnb, and Kinokuniya is always the first place we shop at. 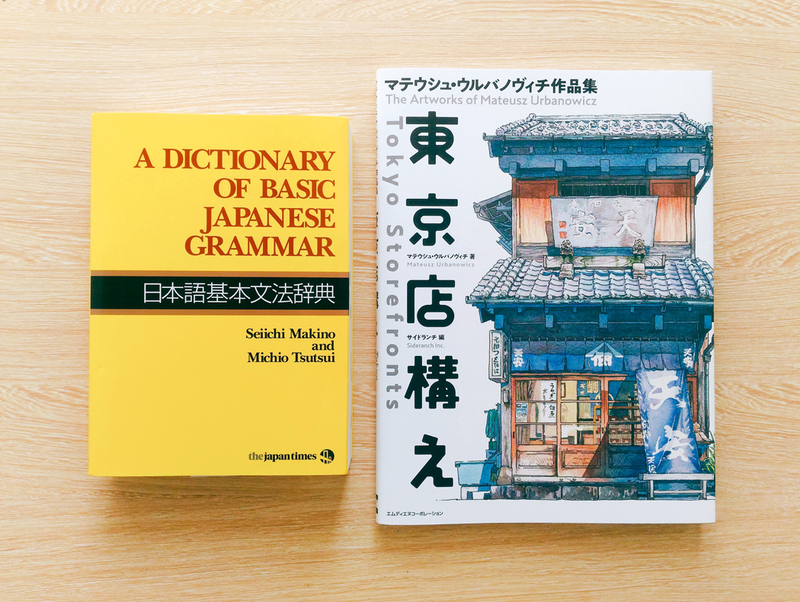 What I got: A Dictionary of Basic Japanese Grammar by The Japan Times and Tokyo Storefronts by Mateusz Urbanowicz. Aian got a ton of artbooks, as always, but I only got these two for myself. The only other books I wanted to buy in Kino were 5 volumes of Kemono Jihen, but they weren't English-translated yet so I had to leave them (sadly). 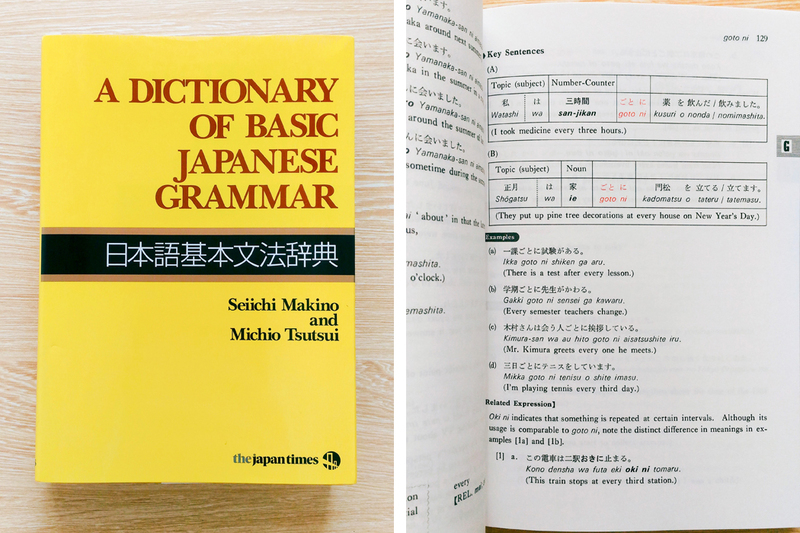 The very first book I grabbed when I got inside was The Japan Times' A Dictionary of Basic Japanese Grammar. I learned about this book from this blogpost. 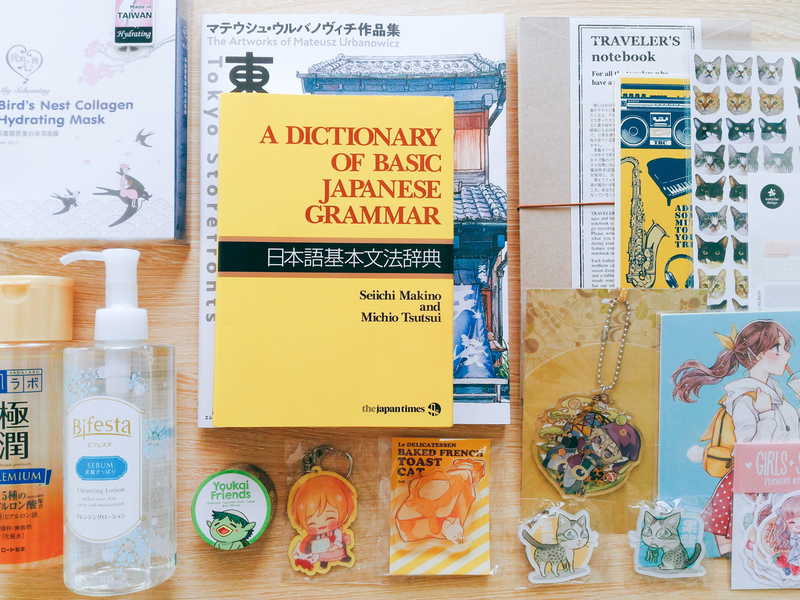 Grammar is one of the things that I've struggled with while studying Japanese, and Genki doesn't really teach you much about it other than the basics of the basics. When I found out about this book, of course my interest was piqued. Problem was, it was super pricey, with prices ranging from $44~$60, depending on where you buy it. But after reading this book review on Tofugu, I made up my mind to get it. I waited until we went to KL just so I could buy it at Kino. Because Aian owns a Kinokuniya membership card, I got it for just RM127.26 (roughly P1,620). And super sulit siya, especially if you're self-studying Japanese. You can use this from N5 to N3. If you have family or friends visiting anywhere that has a Kinokuniya, ask them to buy this for you there because it's a lot cheaper. I thought about getting books specifically for kanji, but I think what's in Genki II is enough for the N4 exam. 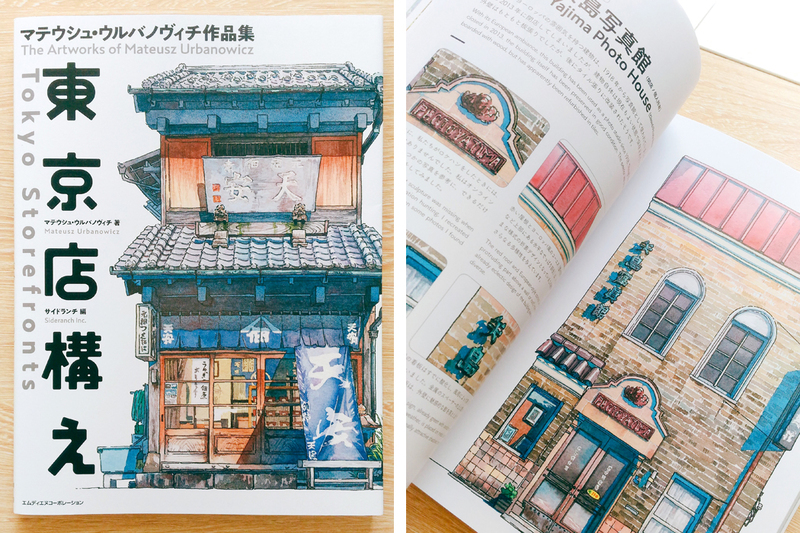 The second and only other book I got—Tokyo Storefronts: The Artworks of Mateusz Urbanowicz. I started following Mateusz on Youtube last year, around the time I started dabbling into watercolors. When I first tried watercolors, I actually got discouraged because a lot of the tutorial videos I came across mostly talked about technical stuff, and I struggled to understand most of it. I got a lot of it /in theory/ but when I tried to apply what I learned, it felt like I didn't understand anything at all. Like my brain's processed everything but my hand struggled to follow. Watercolor itself just became daunting to me. And then I found out about Mateusz' channel. His work itself is amazing, no doubt about that. I mean, he worked on backgrounds on Kimi no Na Wa! But the thing that got me inspired again was his way of explaining his process. Everything is put in simple terms, and he explains his process as he goes. He also talks in such a familiar way that I feel very relaxed while watching him. (His voice and way of speaking actually reminds me of Cooking with Dog, which is probably another reason hehehe.) I became inspired to try watercolors again because of him. So when I found out that he had a book coming out, I made sure to watch out for it. I'm glad I finally got a copy. After Kino, I went straight to Watsons to buy my skincare stuff. I only got these four things: Melano CC Intensive Anti-Spot Essence, Hada Labo Gokujyun Premium Hyaluronic Acid Lotion, Bifesta Cleansing Lotion (Sebum), My Scheming Bird's Nest Collagen Masks. 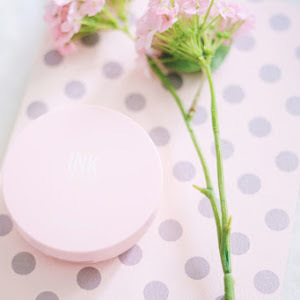 After getting to try a bunch of different products over the course of my skincare journey, I now already have an idea of the things that work for me and the things that don't. So these days shopping for skincare isn't as hard. For this haul, I made sure to only get my favorites. 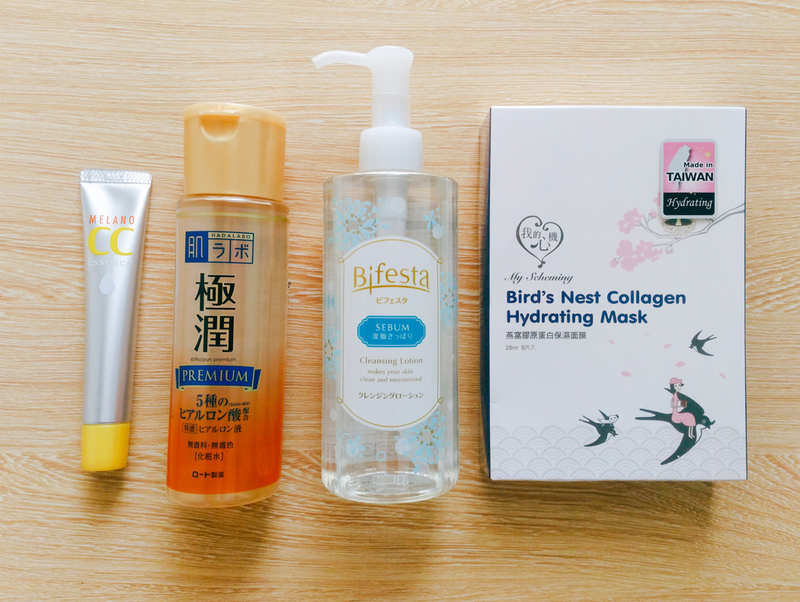 At the time, I hadn't tried the Hada Labo Premium Lotion and the My Scheming Bird's Nest Masks yet, but their brands' products have always worked for me, so I got them anyway. 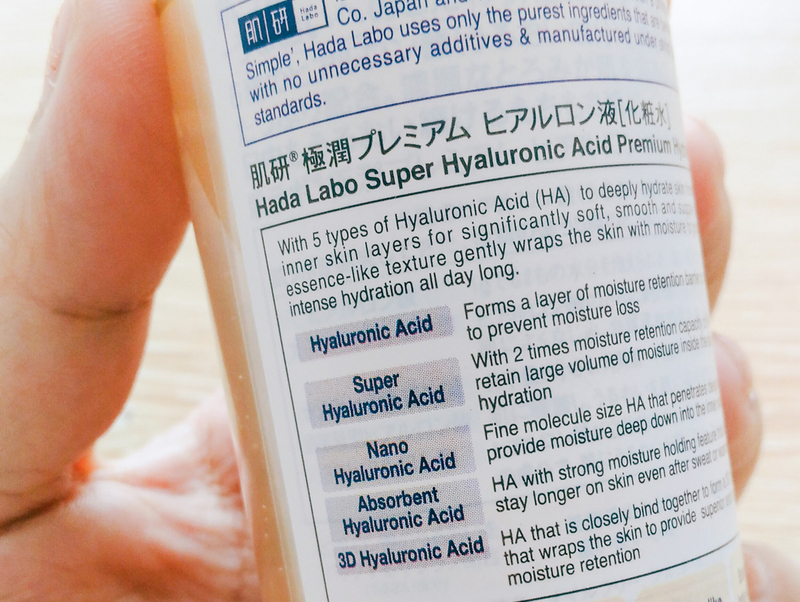 The reason why I got the Premium Hada Labo over my usual Shirojyun was because I heard a lot of good things about it from Liah Yoo, one of the few K-beauty gurus that I trust with skincare. 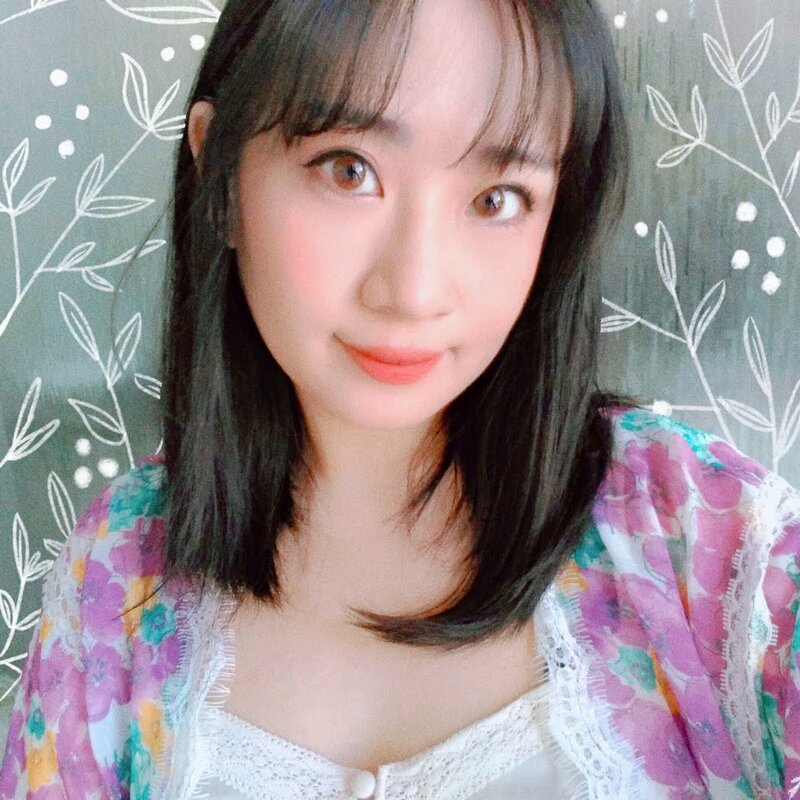 I've since incorporated the Hada Labo Premium Lotion into my current routine and I LOVE IT SO MUCH. I actually wanted to get my other HG toner, the Kiku-Masamune High Moist, but I'm an idiot and couldn't find the SASA at Suria for some reason?? I found out that there's another SASA in Pavilion, but that was on our second to the last day in KL, and I didn't have the budget to buy any more stuff ;; Welp. Next time. The journal in question. 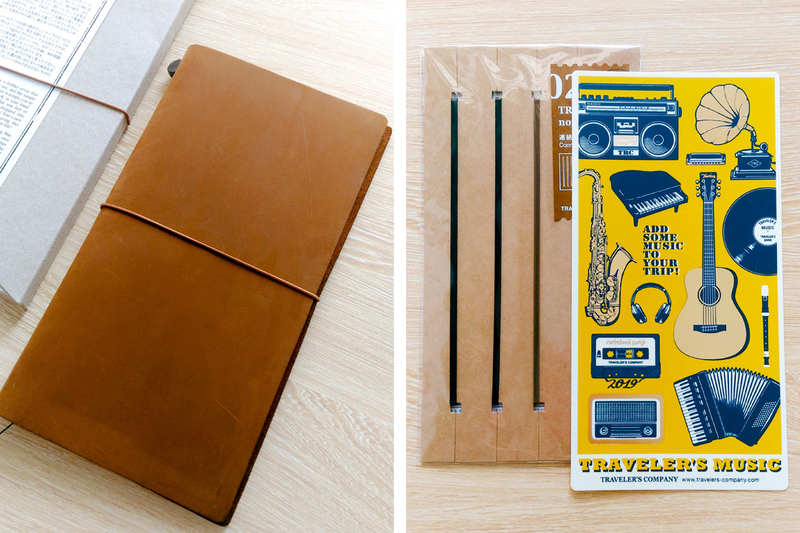 A regular-sized Traveler's Notebook in Camel ♥ SO PRETTY. I initially wanted to get the Brown Narita version, but when I saw the camel color up close it was so pretty that I couldn't let it go. Is that what it feels when something sparks joy? I fell in love with it instantly that I put it in my basket even though I knew it meant I'd be saying goodbye to that pretty 3CE tint that I'd been eyeing for almost a year. It didn't matter. I just wanted to go home and look at the pretty camel cover the whole day. I also got some additional TN things: Connecting Rubber Bands (Refill 021) and the 2019 Plastic Sheet. 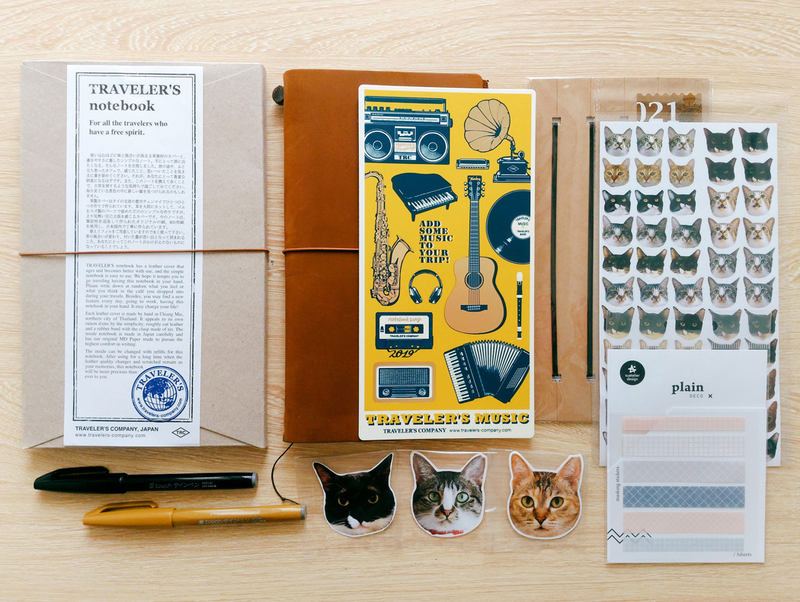 More journaling supplies. Suatelier Plain x Deco Stickers, Pentel Fude Touch Brush Sign Pens in Black and Yellow Ochre. I've been wanting to get my hands on these for a long time, I'm glad I finally did. I kind of regret not getting more of the pens though. I've been using them a lot these days and I really wish I'd gotten the full set of colors. Bonus: a ton of Luke, Leia, and Chewie Face Stickers! I've been following these kitties on Instagram for about 3 years now, I think! I was so happy I finally got to meet them. I got a bunch of their stickers for commemoration heheh. So so so cute. 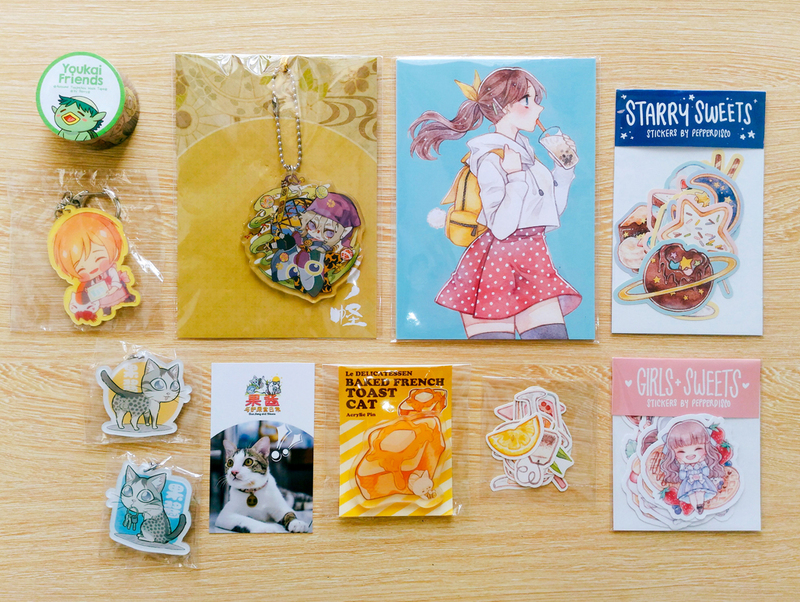 There was a lot more I wanted to buy (trust me, I spent almost 2 hours deciding on what to get), but not enough money. I actually had to borrow money from Aian since I was around RM20 short, haha ;____; Lesson learned: make sure to save a lot more for our December Malaysia trips from now on! 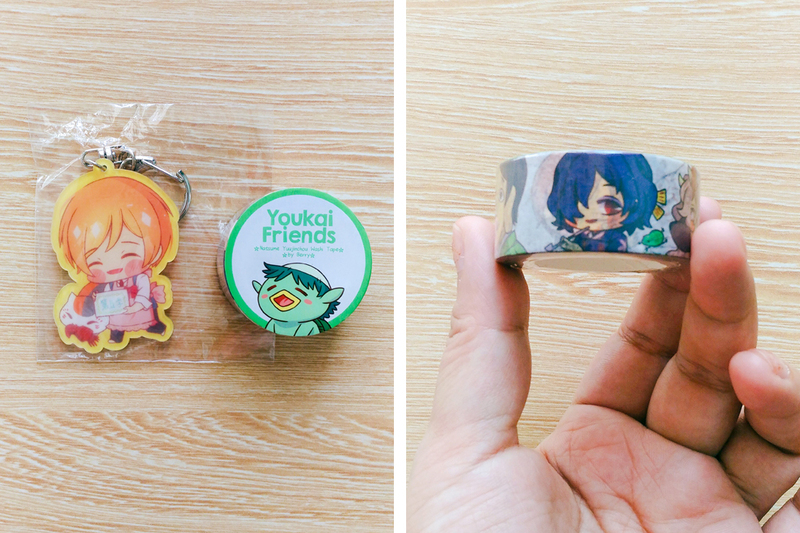 Natsume Yuujinchou acrylic charm and Youkai Friends washi tape by Berry! 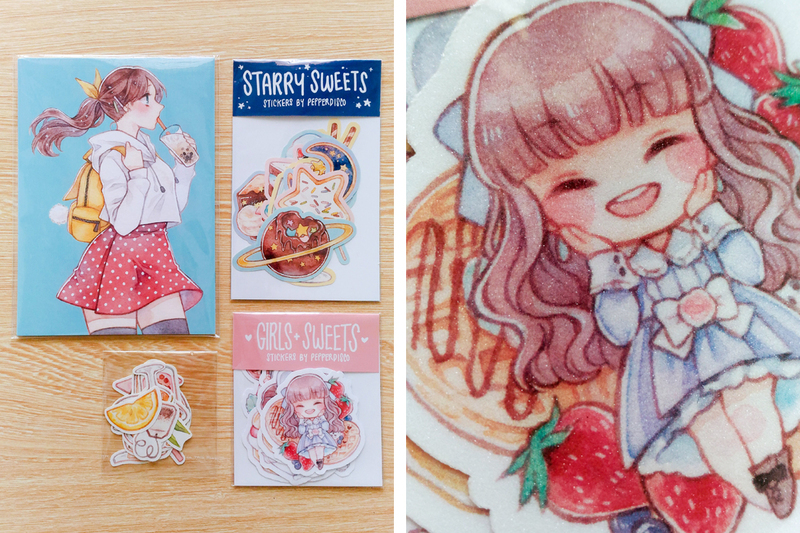 Another fandom of mine that has little to no merch at cons haha cry ;; I love anime-related stationery a lot, especially anime-themed washi! Even more so if the anime in question is one of my favorites. 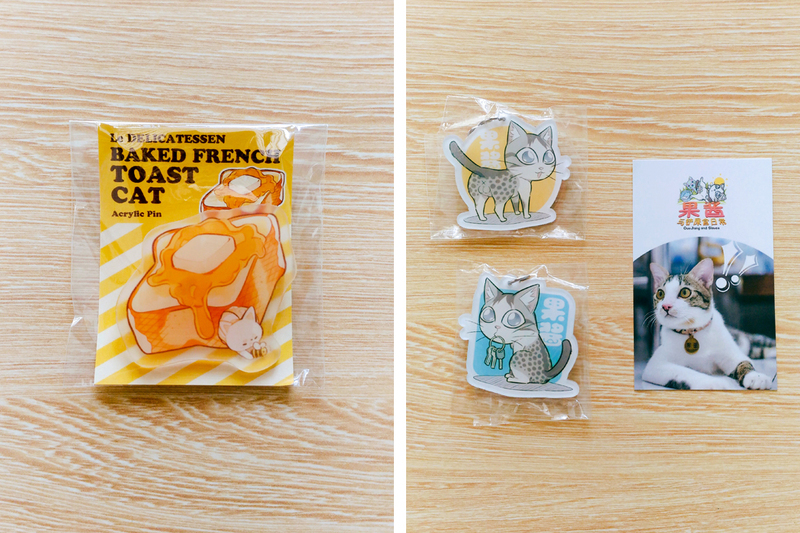 I actually only bought the washi, but the artist suddenly gave me the Natsume acrylic charm as well!! 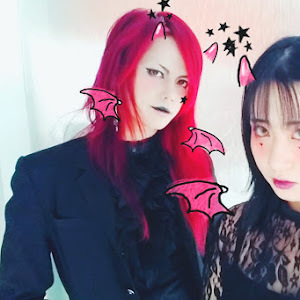 ;; u ;; So so so kind. 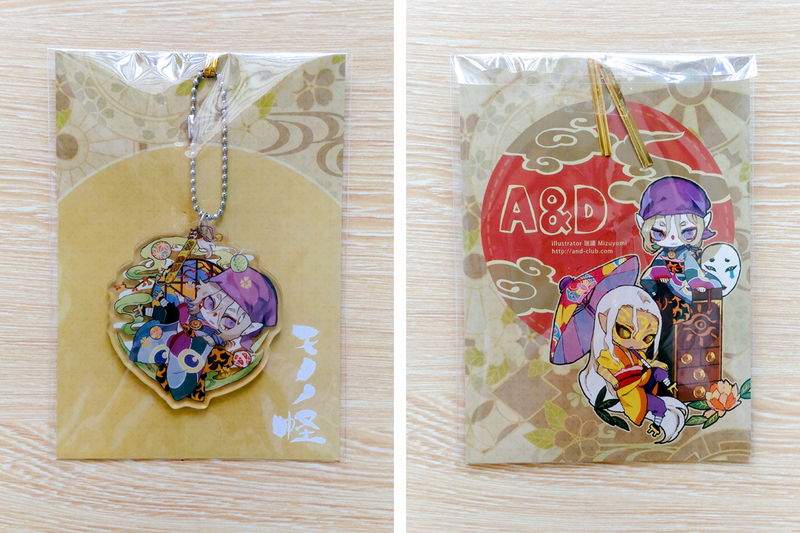 And lastly, GuoJiang and Slaves acrylic charms! 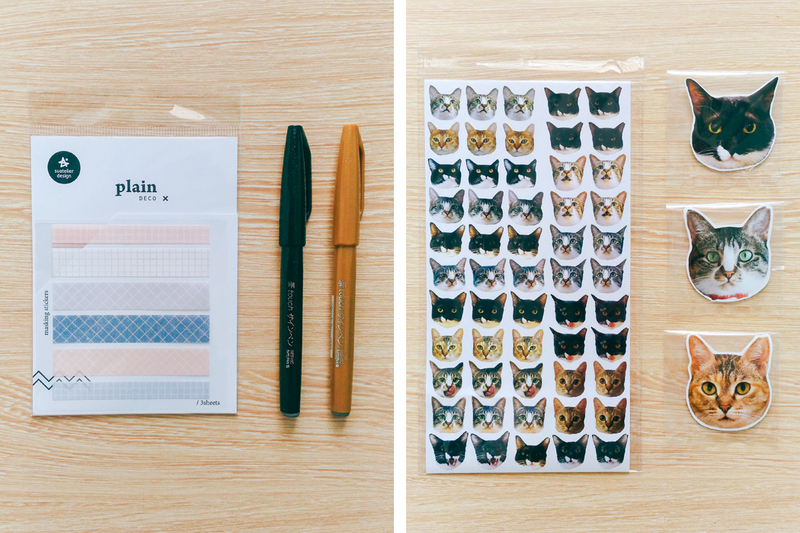 GuoJiang is the name of the kitty, who's also the cutie on the card on the right! 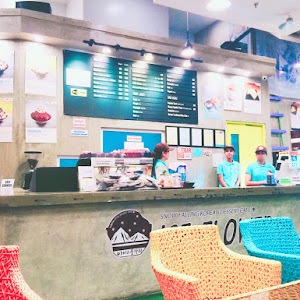 Aian and I actually got stopped because their booth had a huge photo of GuoJiang displayed, haha. We then found out that GuoJiang was actually a rescue! We were also told that part of their proceeds go to providing TNR support for stray cats and dogs and support for shelter cats. That made Aian and I really happy, since six of our own are also rescues ♥ If you'd like to know more about GuoJiang, you can read GuoJiang and Slaves on Webtoons! It's so cute and funny! Fellow cat slaves will definitely like it.